Bosch has added new parts coverage for vehicles from Subaru, Volkswagen, Hyundai, Chevrolet and more in the months of May and June. 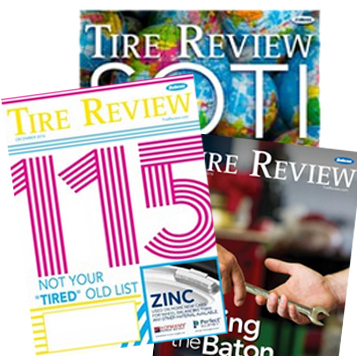 The new SKUs cover more than 6.3 million vehicles in operation in the U.S. and Canada for select vehicles needing replacement brakes, engine management components, starters and alternators. 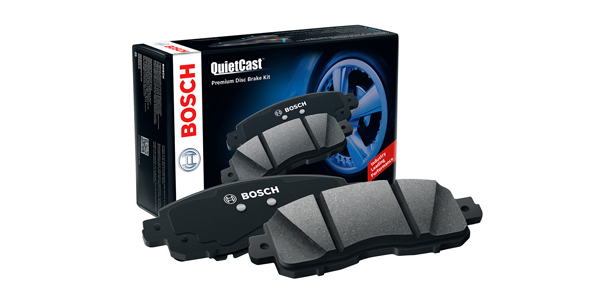 Eight new SKUs have been added to the Bosch QuietCast Brake Pad and Bosch Blue Brake Pad product lines. The new part numbers extend coverage to more than 1.7 million late-model domestic, European and Asian vehicles in operation in the U.S. and Canada including the 2015-’16 Audi A3, 2015-’16 Chevrolet Colorado, 2017 Hyundai Santa Fe, 2015-’16 Volkswagen e-Golf and more. The new part numbers include synthetic lubricant with all applications and a hardware kit on select applications. Fifteen new SKUs have been added to the Bosch Blue Disc Brake Pad product line, featuring OE-style multi-layer shims that provide superior noise dampening, according to Bosch. The pads are designed to deliver quality and performance and are ideal for the shop owner who is looking to provide customers with the best value. One new SKU has been added to the Bosch Severe Duty Disc Brake Pad product line, extending coverage to 937,000 late-model domestic vehicles in the U.S. and Canada. Bosch Severe Duty Disc Brake Pads include an advanced semi-metallic and ceramic copper-free friction formula and multi-layer shims for superior noise dampening. The new SKUs offer coverage for vehicles including the 2013-’17 Ford F-250 Super Duty, 2013-’17 Ford F-350 Super Duty and the 2013-’16 Ford F-450 Super Duty. Bosch has announced the addition of a new engine management component, providing late-model coverage for 2.1 million vehicles in operation in the U.S. and Canada. The new Bosch Ignition Coils deliver high-voltage surge to the distributor and offer guaranteed fit and function. The part is a direct replacement for SMP UF670. The new SKU offers coverage for vehicles including the 2012-’14 Ford Edge, 2017 Jaguar XE, 2015-’17 Land Rover Discovery Sport, 2015-’16 Lincoln MKC and more. Seven new part numbers have been added to the Bosch Rotating Machines product line, including six SKUs for remanufactured alternators and one SKU for remanufactured starters. The new SKUs extend coverage to more than 1.6 million late-model domestic and Asian vehicles in operation in the U.S. and Canada. These vehicles include the 2017 Ford Escape L4 1.5L, 2010 Hyundai Elantra L4 Cyl. 2.0L, 2005-’09 Audi S4 V8 Cyl. 4.2L and more. Bosch remanufactured starters and alternators are built with top-quality materials using the most advanced technology to withstand extreme heat, cold and high demand, the company says. They are 100-percent performance tested to last longer and deliver more reliable service. For more information on Bosch new product communication, click here.